Four good friends (who also just happens to be colleagues) between the ages of 32 and 37. A chance to get out of dodge in order to clear our heads, soak up the sun and talk about the future vision of our company. We refer to this as a ‘business micro-vacay’. It’s a short and sweet trip that involves strategy, adventure and better weather than what is offered by our winter Canadian climate. To be clear, it’s not a lay on the beach kind of trip. This year, in particular, we were looking for a location that could offer great food, unique excursions, fun nightlife and was safe enough for us to explore and do our own thing. 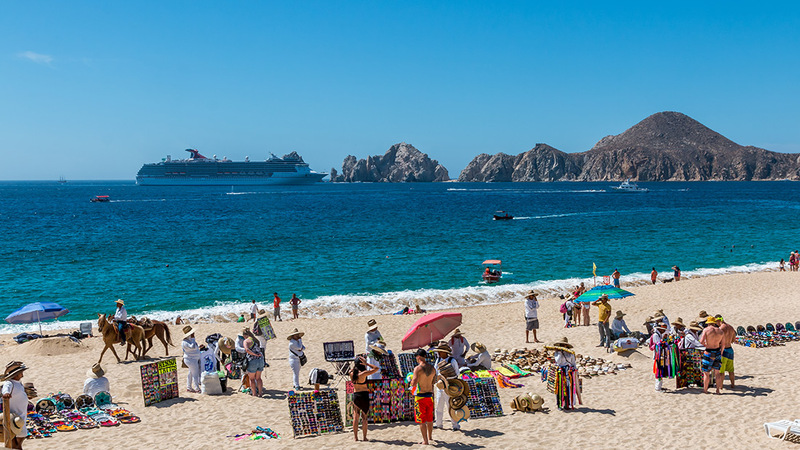 Cabo San Lucas (and the rentals offered by Cabo VIP Rentals) fit the bill for a couple of reasons: 1.) we heard amazing things 2.) the amazing weather and 3.) we really wanted to go Deep Sea Fishing. Landing late in the afternoon, our first impression was a good one. 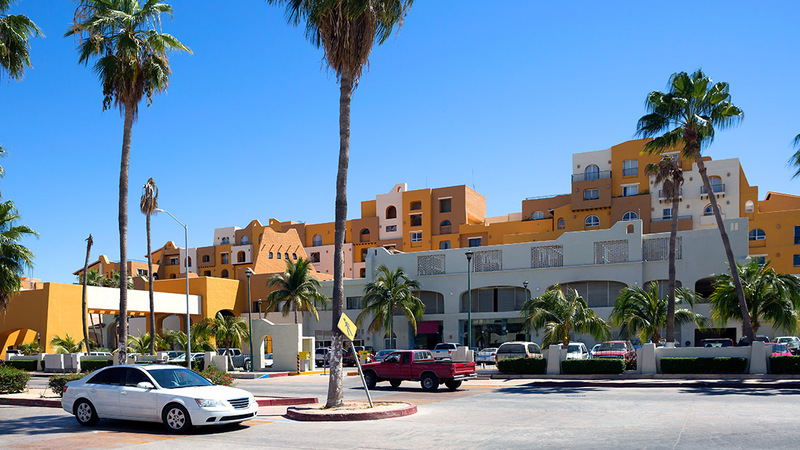 Downtown is very clean and provides a sense of security that you might not typically associate with Mexico. We settled into Cabo VIP Rentals La Vista rental and, starving, decided to head immediately downtown for a bite to eat. Luckily, our concierge pointed us in the direction of what has been referred to as ‘The Best Tacos in Mexico’. Despite its unassuming exterior, it definitely lived up to the hype. After the best tacos in Mexico, we decided to hit a couple of pubs and bars and explore the downtown, marina and main strip. It was a great introduction to Cabo and a great chill first day. After our chill first day, we decided it was time for the beach on day two. Mango Deck, an outlandish bar and party scene, was an absolute riot. Live shows and crowd involvement, we could have sat there all day and observed the shenanigans. 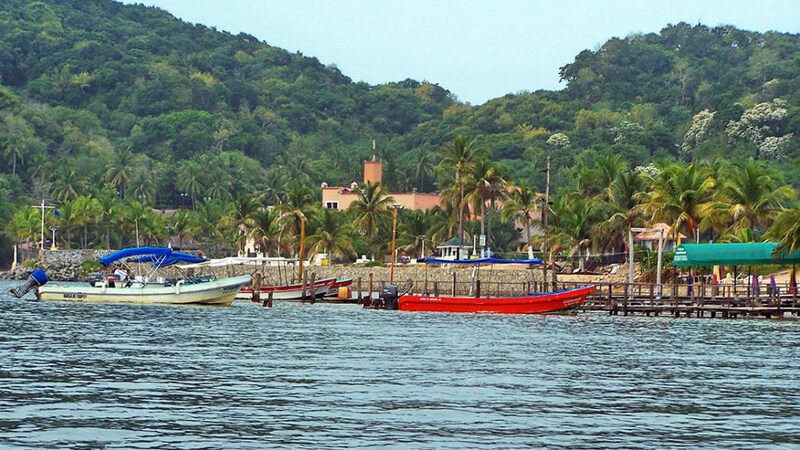 With limited time, we cut the revelry at Mango Deck short, however, and headed to the beach for a short stint that included jet skis, massages, and even guacamole. Although it was short, as with all time in Mexico, it just seems to last longer. 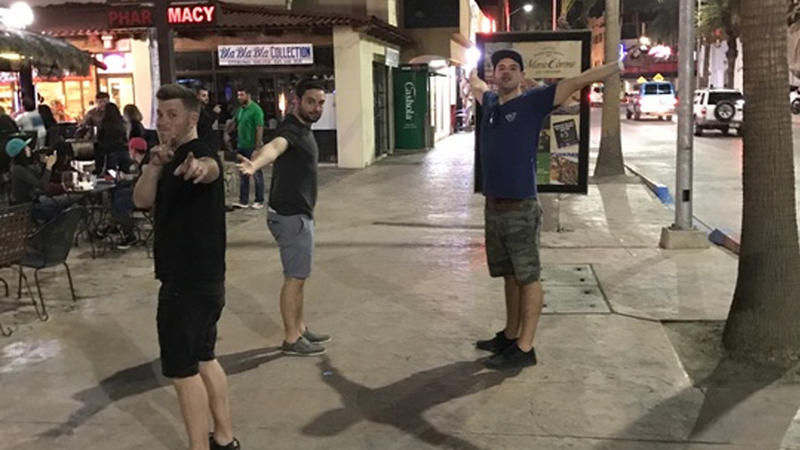 As the night before, night number two in Cabo San Lucas also involved heading downtown. This time, however, we decided to check out a few new spots. Squid Row is insane. It’s hard to describe but I’ll say this: this bar is a mashup between a spiked red bull and a circus with ADHD. The people watching was also worth the trip. After a fun night and too many drinks, we again stumbled back to La Vista and called it another great day. Finally, it was time for the much-anticipated deep sea fishing. Our crew was great and, as you can see, we’re clearly seasoned fishermen. The sunrise over the pacific ocean horizon was spectacular, however, this was only the secondary surprise of the day, as we were lucky enough to be entertained by jumping whales. Truly an amazing morning. One word of caution, however – if you’re prone to getting sea sick, I suggest being prepared with gravel or a patch. Some of us we’re not prepared and paid for it dearly. After an amazing morning, we hit up the Marina for lunch and were surprised by the quality offered. It was seriously the best sushi I’ve ever eaten. The day was capped off by a five-star meal at Ruth Chris’ after which, we waddled back to La Vista. Our ‘business micro-vacay’ was an action packed three days that felt like seven. Not only were we able to experience deep sea fishing, great food, lively nightlife, and entertainment, we were also able to regroup and re-energize. 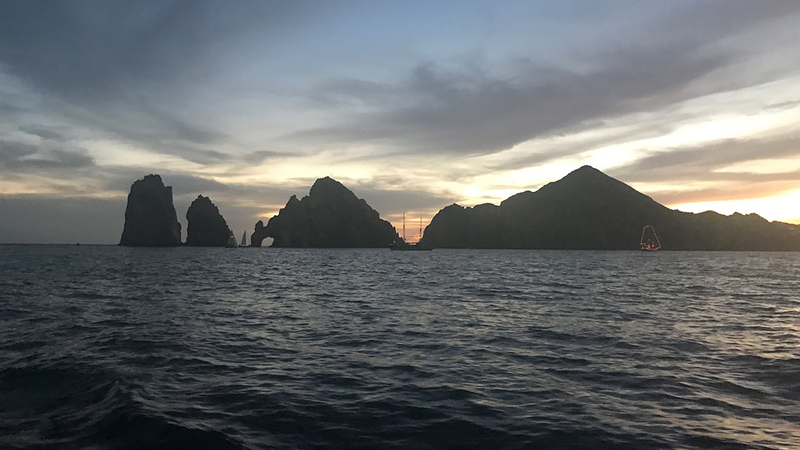 We’re all excited to go back and experience even more of what Cabo San Lucas has to offer (particularly the world class golf and scuba diving).